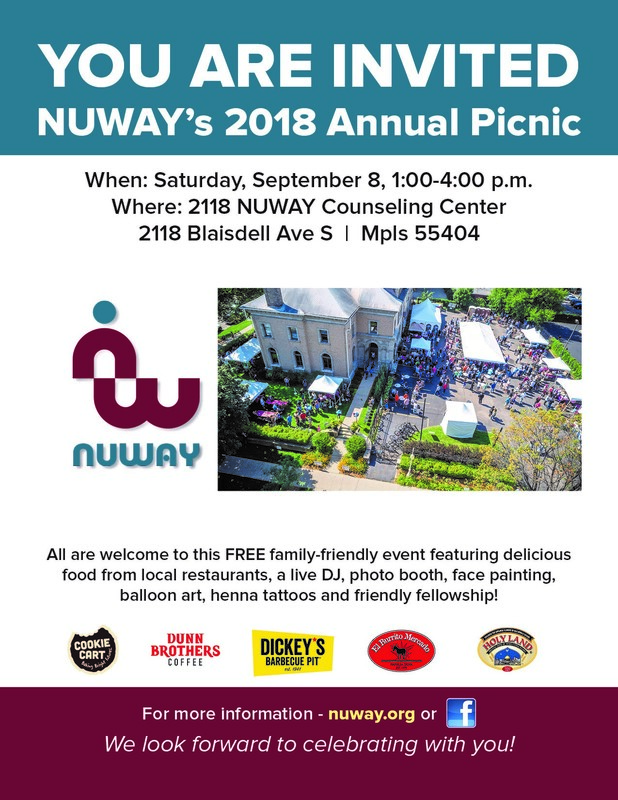 Each year, NUWAY’s annual picnic celebrates recovery! All are invited for fellowship, food and family fun. 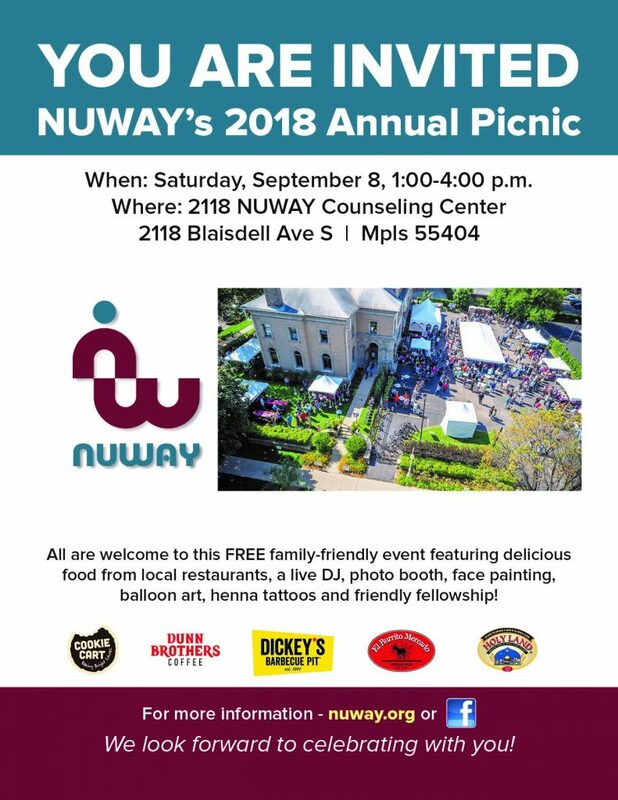 To see pictures from previous annual picnics and details for the upcoming picnic, see below. We look forward to celebrating with you in the heart of the recovery community!